The Buffalo Bills announced Tuesday they have re-signed defensive end Eddie Yarbrough, who had been an exclusive rights free agent, to a one-year contract. 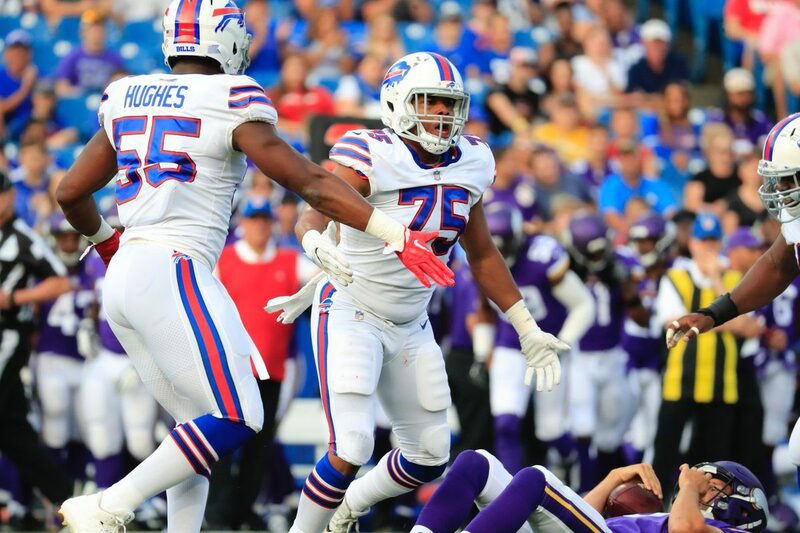 Yarbrough finished last season, his second with the Bills, with 21 tackles, giving him 44 for his two-year career. He registered a career-high two tackles for loss against the Chicago Bears in Week 9 of the 2018 season. That give him five for the year. Yarbrough joined the Bills as a free agent in 2017. The Denver Broncos made him an undrafted free agent from Wyoming in 2016, but released him before the season and he was out of football until the Bills signed him. In 2017, Yarbrough played in 16 games and made six starts. He finished with 34 tackles and a sack. He also had five tackles in the Bills' wild-card playoff loss at Jacksonville.